« Live Interview on Rudy Maxa’s World Radio Show online now!!!! 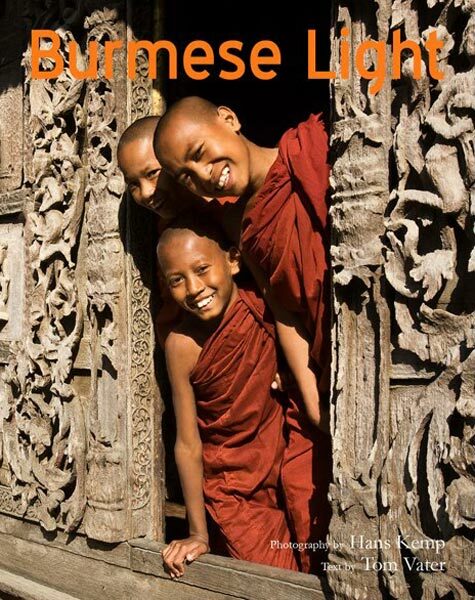 Burmese Light, my new non fiction with photographer Hans Kemp, was reviewed by Marco Ferrarese at Vagablogging, the acclaimed website of travel writer Rolf Potts. “Impressions of the Golden Land” is quite an apt subtitle for Burmese Light as this book literally brings to the table (a coffee-table, to be precise) two kinds of impressions. The visual impressions of photographer Hans Kemp, and the personal travel impressions – translated into words – of Asian-focused writer Tom Vater. If that was not enough, even the publishers’ name, Visionary World, further sanctions the direction of this volume’s journey: a pictorial trip through the Southeast Asian country that has been twitching, boiling, and changing more than any other in recent years. And, to give credit where is due, the impressions “Burmese Light” is made of come from the minds of two adventurers with a long, exciting past of Asian discovery and residence. Believe me: you, the reader, could not find better guides to tackle the lights and shadows of Burma/Myanmar with. Kemp and Vater have taken an accurate, sensitive and contemporary picture of Burma. This book comes to fill a gap in the travel literature by directly digging back to its own early sources. The volume, in fact, is peppered with citations of writers and scholars who have lived and loved Burma before the authors. Kipling, Orwell, Gascoigne, Wheeler (not the Tony of Lonely Planet fame, to be precise) are just some of the names gracing each chapter’s introductory pages before giving way to the array of powerful visuals provided by Kemp’s camera and Vater’s razor-sharp descriptions and highly graphic prose. Light and darkness, as I mentioned previously: because the authors decided to present their own take on classic Burmese destinations (Yangon, Inle Lake, Mandalay, Bagan), without forgetting to explore other lesser-known places (Mrauk-U and cruising down the Irrawady river). However, this book is not just a particularly vivid travel memoir, as it also presents well researched chapters on many aspects of those traditions Burma is still rich in. Understand about monkhood in the country, learn to respect the cheroot – the most loved local kind of cigar – as a cultural symbol, spread thanaka all over your face, and enjoy the descriptions of street life and food at the intersection of the Southeast Asian and the South Asian worlds. By flipping Burmese Light’s pages I got intensely taken back to the time I ventured along the same dusty potholed roads, finding my way in a completely blackened downtown Yangon that resonated with the rhythmic chug of electric generators. And even if you are not as brave as the authors, be sure that you will feel your armchair blaze in shades of Burmese jade and gold, as long as you will keep this volume open on your lap. This book is a necessary addition to the libraries of all those who consider themselves to be lovers of Southeast Asia. Burmese Light also made the cover story of The Bangkok Post Magazine recently.